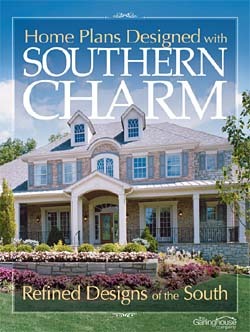 From traditional plantation-style homes and contemporary coastal designs, to sophisticated European-styled plans and sprawling country farmhouses, Home Plans Designed With Southern Charm reflects the South’s rich tradition of unmatched elegance and hospitality. With a focus toward more affluent lifestyles, this eclectic collection of over 150 home plans ranges from nearly 3,000 sq. ft., to over 6,000 sq. ft. and offers the accoutrements one would expect to find in more refined designs of the South.